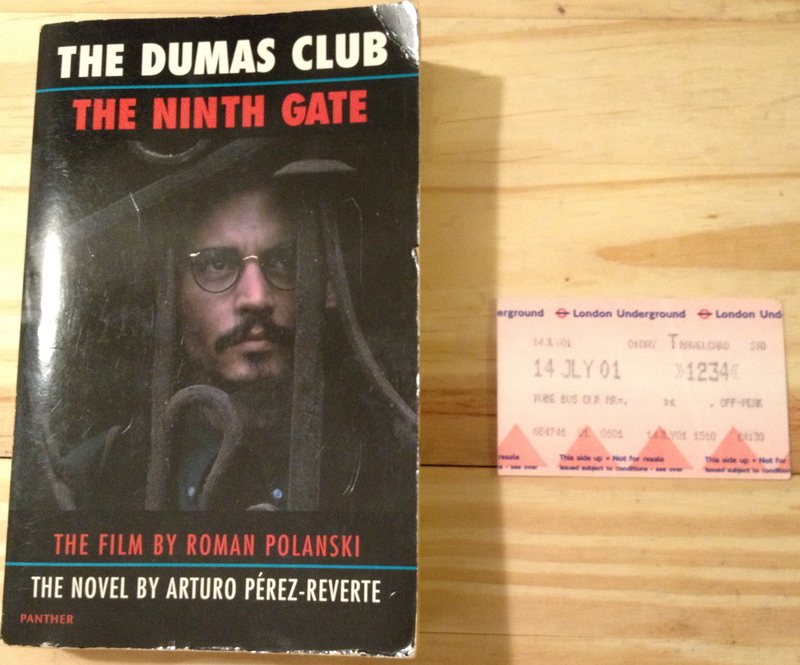 Ticket for the London Underground. I was traveling in Europe with a friend that I got into a fight with. We didn’t talk to each other for most of the trip so I read a lot. On the bus they were playing The Ninth Gate in Spanish and it looked super gothic. I bought the book at a news stand. Perez-Reverte is now one of my favorite writers.